Sweden’s centrist parties are facing difficult coalition negotiations after failing to win a majority in Sunday’s election. The far-right, anti-immigration Sweden Democrats, meanwhile, surged amid growing discontent over migration. Swedes woke up to an uncertain political situation on Monday, with no declared winners after a nail-biting election that brought the center-left and center-right political blocs to a deadlock, with neither able to form a majority government. Meanwhile, the far-right, anti-immigration Sweden Democrats declared themselves the “true winners” and kingmakers. 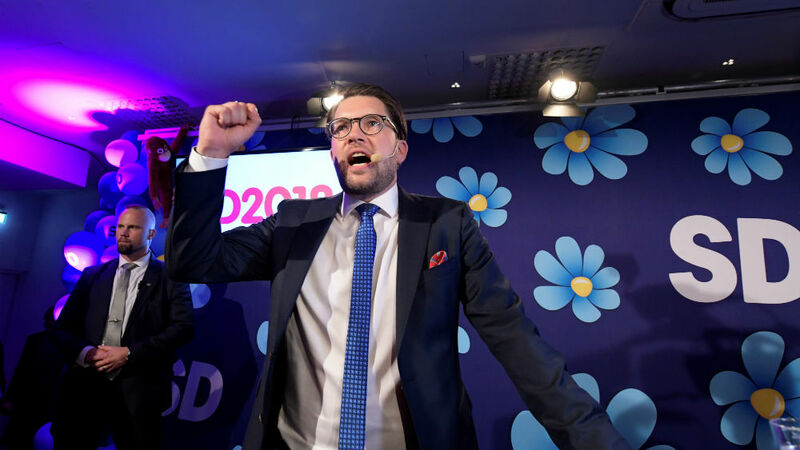 While the Sweden Democrats had hoped to become the second biggest or even the biggest party, they ended up well short of the 25 percent some polls had predicted. Still, there were jubilations among members when preliminary results showed them cementing their position as Sweden’s third party, advancing from just under 13 percent to just under 18 percent. They are clearly a rising force in Swedish politics. With 28.4 percent of the vote, the Social Democrats fared better than some polls had predicted, though they still performed worse than they have done in over a century. And their coalition partner, the Greens, came dangerously close to falling below the four percent needed to enter parliament. However, Social Democrat leader and (potentially outgoing) prime minister Stefan Löfven refused to heed calls from the opposition to step down on election night. All in all, just a tenth of a percent now separates the center-left and center-right blocs. While the center-left (the two government parties plus the Left Party) now has one parliamentary seat more than the center-right, the result may shift again on Wednesday after all the early votes and votes cast abroad have been counted and a final result is declared. Immigration as a Key Issue? As in other recent elections across Europe – from Italy to Germany – immigration was a key issue in Sweden, with opinion polls in the months running up to the vote showing it to be among the top three concerns for voters, along with healthcare and education. However, on the day of the vote Swedes’ priorities appear to have changed, as immigration dropped to eighth place according to exit polls. The Sweden Democrats, who according to the preliminary results gained 17.6 percent of the vote, were apparently able to capitalize on discontent around mass immigration: in 2015 alone, over 160,000 asylum seekers arrived in Sweden. The Scandinavian nation, with a population of 10 million, took in most migrants per capita of any European country. And in total numbers, only Germany took in more. During the election campaign, immigration and integration dominated the political debate, and the Sweden Democrats linked those issues to everything ranging from healthcare and schools to crime and the welfare state. The party proposes that Sweden should, at least temporarily, halt the admission of quota refugees and stop granting asylum permits. They also want to offer incentives for repatriation and to limit immigrants’ access to welfare. They say that instead of taking more refugees in, Sweden should instead help those fleeing their home countries by offering assistance in or near the war-torn areas, for instance in the form of aid to organizations operating in refugee camps. While other parties, too, campaigned on stricter immigration policies, many Swedes apparently felt the Sweden Democrats were more credible in this area. Efforts to win back voters by approaching or adopting the politics of populist parties like the Sweden Democrats are bound to fail, according to Thomas Sommerer, an associate professor in political science at Stockholm University. “When it comes to holding on to voters, tightening one’s migration policy is not a strategy that has worked for the Social Democrats nor for the main opposition party, the Moderates – no matter how hard they tried before the election,” he said. The Sweden Democrat Party has been around for 30 years now. Among the party’s early founders and members were individuals who had previously been involved with neo-Nazi and racist groups. And as the election drew closer, Swedish media continued to expose current representatives for sharing racist content online, such as anti-Semitic memes and conspiracy theories. The party’s history prevents the other seven parliamentary parties from considering them as a coalition partner—they made that clear before the election. However, with the center-left and center-right blocs winning around 40 percent of the vote each, Sweden will now need another minority government. The fact that the Sweden Democrats have the support of 17.6 percent of the Swedes is a sign of the divide between the political class and the wider population, many of whom have abandoned old parties. By casting their vote for the Sweden Democrats, these people expressed that they do want their policies to shape Swedish society. For the Social Democrats, who have dominated Swedish politics since the 1930s and formed a coalition with the Green Party in 2014, the 2018 general election represents the greatest loss in a century. This downward trend is not unique to the Swedish Social Democrats of course, but has also afflicted their sister parties across the West, as Sommerer pointed out. Indeed, smaller parties have gained from this trend, and a record 41 percent of Swedes switched party allegiances in this election, according to exit polls on Sunday. Sweden’s Left Party rose from 5.7 percent in the 2014 election to 7.9 percent in this year’s vote. Other small parties experienced a boost in the final stages of the campaign. 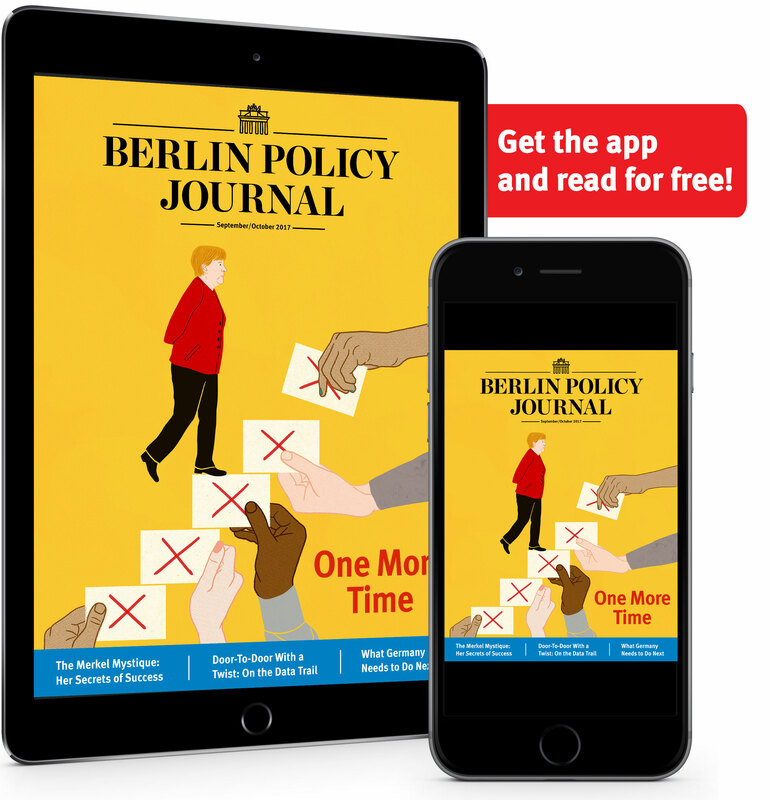 The Christian Democrats, for instance, long looked unlikely to make the four-percent electoral threshold but in the end got 6.4 percent of the vote. 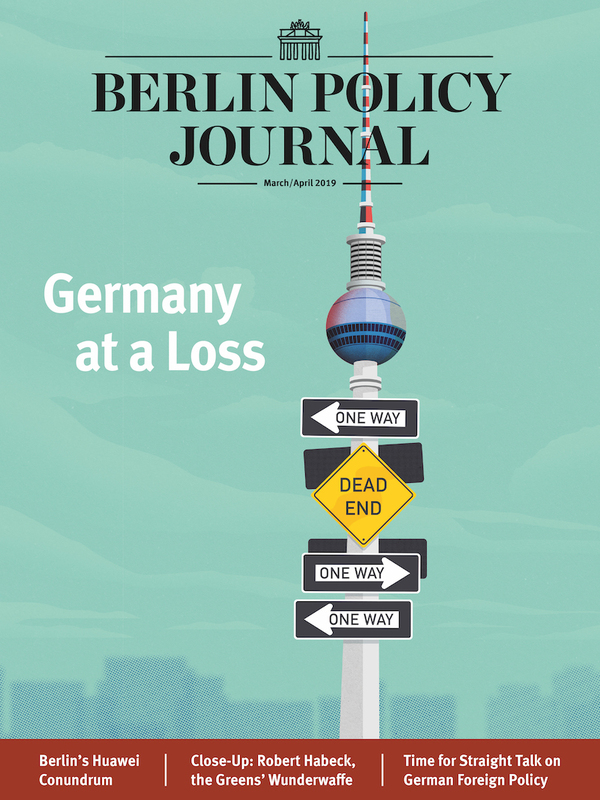 “The other alternative is to collaborate across the political blocs and one change we’re seeing in Germany is that the Green Party is abandoning its old stance of working exclusively with leftist parties. There, the pragmatic sections of the party have become more dominant in recent years and have started collaborating with conservatives. It remains to be seen if the Swedish Greens will follow that lead. I wouldn’t be surprised if some parties are forced to become more flexible here,” said Sommerer. The day after the election, the bargaining over political power has begun and looks set to continue for some time. The Social Democrats’ group leader Anders Ygeman told Swedish media on Monday that it “could take months” before Sweden has a new government. Nathalie Rothschild is a print and broadcast journalist based in Stockholm. Her work has been published in Foreign Policy, WSJ, Slate, and more.